Mangos Miami Beach is a high energy bar/club and restaurant in Miami Beach with a Latin vibe Mangos is where you want to be. 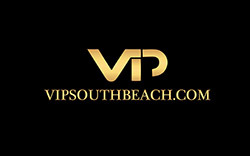 Mangos Latin club has two floors and is located on Ocean Drive in the heart of South Beach. The club decor is inspired by the 1950s era of the old Havana style clubs and is very tropical and cool. Mangos is well know for their hot Latin dancers dancing Mambo on top of the bars giving you a show you will not forget. The club features Latin bands, live reggae and the DJs spin a mix of salsa bachata, reggae-ton and Merengue. Mangos is a very high energy bar/club and restaurant that is busy day and night. Mangos has many shows nightly including Samba, Belly Dancing, Conga and Mariachi. They also have a male dance revue for Bachelorette parties.